Hopes of an animated contest with both teams under high pressure is on the cards when Sri Lanka take on Pakistan in the third one-day International, a day-night affair at the R.Premadasa Stadium, Khettarama today. 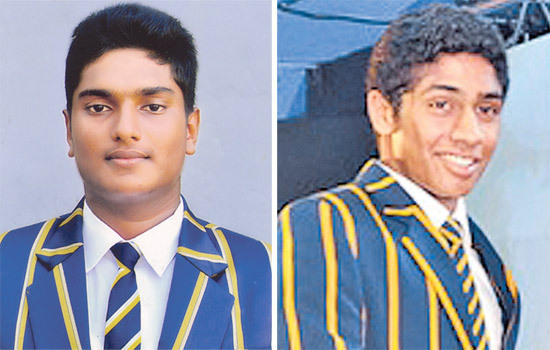 Lakshina Rodrigo (St.Peter’s), Randev Pathirana (Royal College,Colombo) and Shanaka Sampath (SiriPiyaratana MV, Padukka) were voted as the Sunday Observer/MobitelMost Popular Schoolboy Cricketers of the year 2015 at the end o the final weeks’s counting. Sri Lanka’s Harshana Godamanna and Dineshkanthan Thangarajah were beaten by Hady Habib and Gioyani Samaha of Lebanon in a Davis Cup tennis Group II Asia-Oceania Zone Relegation Play-off doubles tie worked off at the Sri Lanka Tennis Association Courts in Colombo 7 yesterday.